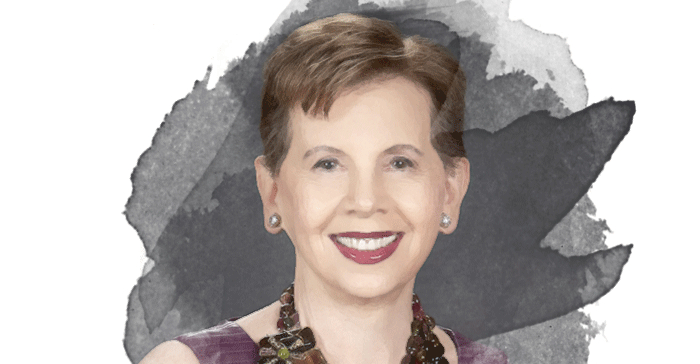 When Adrienne Arsht made a $30 million gift and put her name on Miami’s ailing performing-arts center, everyone around her told her it was a mistake to embrace the sick project. But her gift, and the energy she added to the center, not only turned around its fortunes, but boosted the whole surrounding neighborhood. Daughter of the first female judge in Delaware, Arsht became a lawyer, moved to D.C., and began hosting an ecumenical mix of guests at her home salons. In 1996 she relocated to Miami to run TotalBank. She expanded it from four to 14 locations and quadrupled its assets to $1.4 billion. Its sale in 2007 was the occasion for her gift to the performing-arts center. The arts have always been a central focus of her philanthropy: $5 million for musical theater at the Kennedy Center. $11 million to renovate Lincoln Center. Board membership at many cultural organizations as well as the Atlantic Council, where her recent focus has been on resilience—a theme closely connected to her giving in the arts, and her own biography. Read Arsht’s full interview with Philanthropy magazine, the quarterly publication of The Philanthropy Roundtable, here. In response to deep community concerns about changing federal policies and resources in the wake of the 2016 presidential election, Seattle Foundation developed its Resilience Fund in early 2017. The Resilience Fund provides flexible funding to address unanticipated and emerging challenges that impact marginalized residents in our region. These individuals are facing increased needs for information, support, legal guidance, organizing, and advocacy to address threats and discrimination based on factors including race, gender, sexual orientation, religion, disability and country of origin. The Resilience Fund supports community-based nonprofits seeking flexible funding to respond to both immediate and short-term needs, as well as longer-term efforts that strengthen vulnerable communities and increase their resilience in the face of emerging challenges. In its first granting cycle, groups serving immigrant and refugee communities received a large share of funding and continue to be well represented in recent applications. Support for the most vulnerable among us increases equity, opportunity and the well-being of our entire region. The Resilience Fund is similar to rapid response funds developed around the nation by other foundations and organizations to address growing or emergent needs due to shifts in federal policies, funding, and the national political climate. Some of these efforts include funds by Pride Foundation, Groundswell Fund and Still We Rise Fund. How the Funds Are Used Jonathan Cunningham, program officer for Seattle Foundation, administers the Resilience Fund and says the community demand is great. “We had very strong interest in the Resilience Fund, with more than 200 organizations applying for a grant in the program’s first year. Many of the funded organizations are using those dollars to offer Know Your Rights trainings or to develop safety plans for families experiencing deportations, or hiring more staff to handle increased demands for services and basic needs in the wake of declining or disappearing federal funding.” Organizations that receive Resilience Fund grants from Seattle Foundation are working to safeguard and advance the safety, security, constitutional or human rights of our region’s vulnerable community members. In its first year, the Fund invested $930,000 in 57 nonprofits serving essential community needs. Grantees focused on a wide variety of issues and needs, including immigrant and refugee communities; women’s health, voting restrictions on communities of color, LGBTQ populations, individuals with disabilities and more. Individual resilience can be encouraged. You can learn from watching others, and decide, "I'm not going to give up either." If you are interested in Arts and Culture, please see these relevant events, training, conferences or volunteering opportunities the Giving Compass team recommends.